Time for a little wine science. 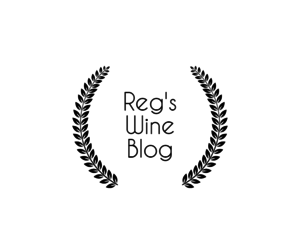 Hopefully the above Blog title has you scratching your head wondering what the connection is between Resveratrol, Telomeres, the Fountain of Youth, and Red Wine. Has Reg been drinking too much red wine over the holiday season you ask? No, seriously, there is a connection, so please read on. Resveratrol is part of a group of compounds called polyphenols. Wine lovers will recall that Resveratrol made the news (and was basically discovered by the wine consuming public) in 1992 when it was reported that Resveratrol was found in red wine. Not much was known about Resveratrol at the time, other than it was good for you, and suddenly drinking red wine was all the rage, the latest “in thing” to do. 26 years of further research has yielded lots of results. Resveratrol does a great job neutralizing free radicals that damage cells throughout the body. It is not only a powerful antioxidant but also anti carcinogenic and an antitumor crusader. Resveratrol is a polyphonic bioflavonoid antioxidant. It is also classified as a phytoestrogen because it possesses a unique ability to interact with estrogen sensors positively. Think of it as a positive poison certain plants use to protect themselves from their environment. Effectively, Resveratrol can keep plants safe from injury, insects, and other natural predators. In the human body, studies have shown the compound has truly unique anti-aging properties capable of extending and improving quality of life. 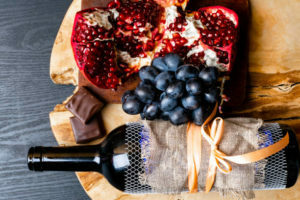 Resveratrol is found naturally in red grapes and red wine, but it is also found in other foods including blueberries, mulberries, bilberries, cranberries, lingonberries, raspberries, peanuts and raw cocoa. However, by far the highest concentration of resveratrol is found in red wine. Another potential benefit of Resveratrol’s antioxidant properties is that it can cross the blood-brain barrier, aiding both the brain and the nervous system. Once there, the compound works overtime to increase blood flow to the brain, promoting healthy functioning. Potentially, Resveratrol could even one day be proven to counter dementia, Alzheimer’s disease, and other cognitive issues. 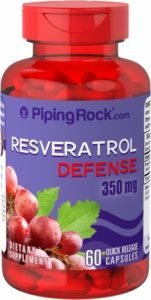 There are a lot of Resveratrol supplements widely available on the market. The trick is to find the highest dosage for the lowest price because most supplements are in the 250 – 350 milligram range, while the research testing that is yielding the very positive results is done using a 2,000 milligram per day range. So if you want to see the benefits obtained in various research studies you won’t get much benefit from taking only 10-15% of the daily dose. The best value I could find available in Canada was with Piping Rock Health Products who sell 60 capsules of 350 mg dosage for $14.50. You would need to take 6 capsules per day which would cost you $1.45 daily to ingest 2,100 mg of Resveratrol per day, and that would get you up to the levels studied by researchers. While there appears to be no negative side effects observed in studies to date consuming that much Resveratrol, the effects of prolonged exposure to that high a dose are unknown. So I am not recommending you take more than one or two capsules per day. On the other hand, those Resveratrol supplements are thought to help lower blood pressure, have a positive effect on blood fats, protect the brain, increase insulin sensitivity, ease joint pain, suppress cancer cells, and lengthen lifespan. A truly remarkable list of qualities. Sadly my hopes that just drinking lots of red wine would suffice, were dashed, when I did the math to calculate how much Resveratrol was found in the average glass of red wine. I discovered I would need to drink forty 5 ounce glasses of wine per day to ingest only 20 milligrams of Resveratrol. So to get 2,000 milligrams of Resveratrol I would need to drink 100 times that amount, 4,000 glasses of wine, or about 800 bottles, per day. Now I know some of you love your red wine, but nobody can drink anywhere near that amount. So for now supplements will have to be your primary source for Resveratrol in sufficient quantity to make a difference. One 350 mg. capsule will have as much Resveratrol in it as 140 bottles of red wine, and researchers studied usage at 6 times that level. So why does any of this matter? 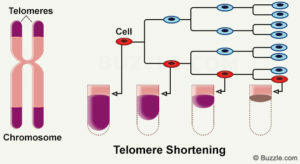 Well, a recent article caught my attention last November when Jessica Miley wrote a short article for “Interestingengineering.com” that talked about how scientists experimenting with the compound Resveratrol Analogues (a derivative of Resveratrol) were able to rejuvenate old cells by lengthening their telomeres (https://interestingengineering.com/scientists-find-compound-in-red-wine-and-dark-chocolate-could-reverse-ageing) . Researchers from the Universities of Exeter and Brighton published a full research report in October 2017 entitled “Small molecule modulation of splicing factor expression is associated with rescue from cellular senescence” (https://bmcmolcellbiol.biomedcentral.com/articles/10.1186/s12860-017-0147-7) . Although highly technical and not the sort of material easily understood by the average person, suffice to say that researchers found that the compound Resveratrol Analogues lengthened the telomeres on chromosomes in cells, thereby rejuvenating them and improving their function and replication. that functions as a cap to protect the chromosome itself during the replication process. 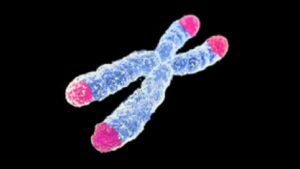 The telomere wears down or shortens with each cell replication such that, in general, the older you get the shorter your telomeres become. As your telomeres shorten, you age, contract disease, and eventually die. 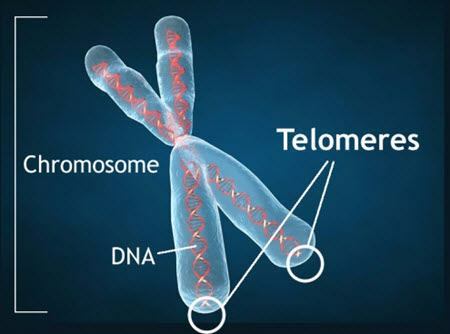 So anything you can do to maintain or lengthen your telomeres will help maintain a healthy and higher quality of life in your golden years, and may even lengthen your life. Scientists have just proven that about 2,000 milligrams of Resveratrol Analogues per day will lengthen your telomeres. The big problem with jumping to this conclusion is that nothing is ever that easy. Researchers do not know if 2,000 milligrams of Resveratrol per day is safe for human consumption, just as they do not know what long term side effects may result from consuming so high a daily dose. However, the research is exciting and promising. So Resveratrol lengthens the telomeres in your chromosomes, which otherwise shorten with age. Maintaining healthy and full length telomeres is a key factor in determining longevity and good health into your golden years. And the best natural source of Resveratrol, by a huge margin, is red wine. So keep that in mind, red wine should form an essential component of your daily diet, especially into retirement. Two glasses per day should be a good start, and for those of you who are adverse to daily consumption of red wine, consider adding a Resveratrol supplement. It may not be the mythical “Fountain of Youth” that we all long for, but we are getting close. We have known for decades that drinking red wine is good for you without knowing why or how. Science is now unlocking the answers to those questions. 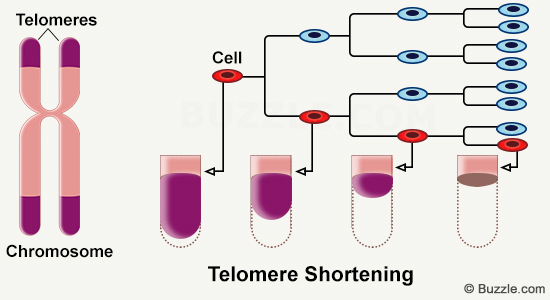 Soon we will know the specifics of how poor diet and lifestyle shorten your telomeres, and how those shortened telomeres adversely affect cell replication in your body, which opens the door to disease and shortens lifespan. Science will soon be able to prescribe the correct amount of Resveratrol you need to take to offset the harmful effects of your poor diet and lifestyle choices, giving you back better health and longer life. While scientists keep working to perfect the science, I am glad to be doing my part to stay young and healthy by drinking red wine and popping the odd Resveratrol supplement on those days when I am unable to drink wine. What about you?